With a potent offense that has scored a minimum of eight runs in all but three of their games, the Philadelphia Phillies are never completely out of any game. Even when they fall behind by a few runs, the Phillies offense is always one big inning or one big hit away from getting back in the game or taking the lead. That’s because from top to bottom, just about everybody in the Phillies lineup is capable of hitting a home run or coming up with a run-producing hit. The Washington Nationals pitching squad found that out the hard way on Monday night when the Phillies topped their National League rivals by a score of 4-3. First baseman Rhys Hopkins had two home runs and center fielder Odubel Herrera added one of his own. On Sunday, Minnesota Twins starting pitcher Jose Berrios had the Phillies number for the first five innings. Berrios held Phillies hitters to no runs on just one hit with seven strikeouts. But in the sixth inning, the Twins young right hander witnessed the game-changing ability of the Phillies offense when Hopkins smacked a two-run homer into the seats in left center field. 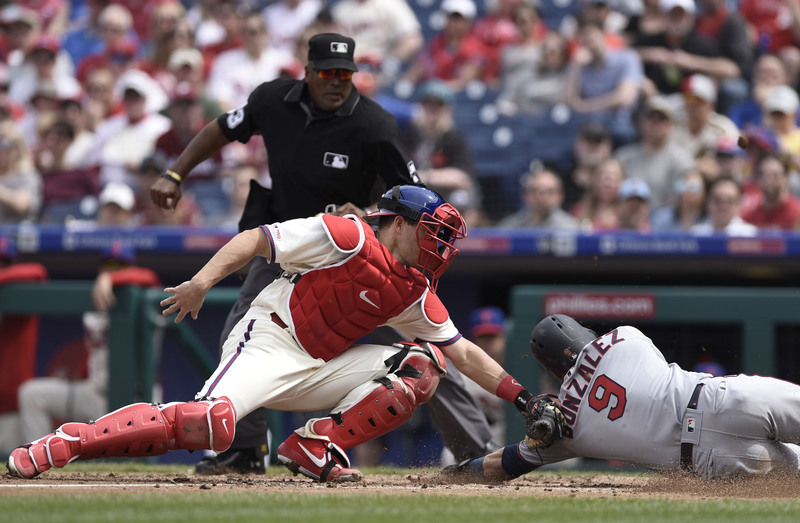 That homer and the pitching of Zach Eflin were the difference in the Phillies 2-1 win over the Twins Sunday afternoon at Citizens’ Banks Park. 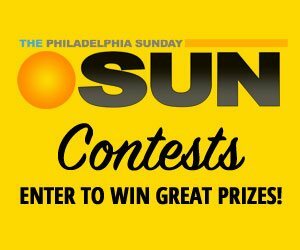 The confidence shown by the offense has given the team a big boost, Hoskins said. Hoskins is off to a hot start for the Phillies. He is batting .346 with three home runs, including an Opening Day grand slam, and 13 runs batted in. So far in his young career, he is proving that he can be a clutch hitter when the game is on the line. Since the start of the 2018 season, Hoskins has hit 24 homeruns that had either tied the game or enabled the Phillies to take the lead. In his last 10 games at Citizens Bank Park dating back to September of last season, Hoskins has batted .433 (13-30) with five doubles, five homeruns, and 15 runs batted in. The Phillies hitters as a group have done a good job of working the count and exercise patience during their at bats. Meanwhile, Phillies pitching, both starters and relievers, kept their teammates in the game and gave them a chance to win game. After giving up a lead-off home run to Twins right-fielder Max Kepler, Eflin settled down and shut the Twins for the rest of the game. In seven innings, he just one run on six hits and had five strikeouts. He retired 10 of the last 11 batters he faced. After scoring runs in bunches prior to the last two games of the Minnesota series, the Phillies offense cooled off considerably. After scoring 10 runs in last Friday’s win, the Phils managed just four runs for the rest of the series in Saturday’s loss and Sunday’s win. For Phillies manager Gabe Kapler, it is a huge comfort to know that he has an offense that has the ability to come back in games when the team falls behind by a few runs. The Phillies will hope that the team’s bats stay warm as they finish their series with the Nationals and begin a series with the New York Mets, who are currently in second place in the National League East.